Sometimes, a film only showcases comestibles as a small part of a bigger picture. In the past, we highlighted those movies which make a point thanks to provisions. 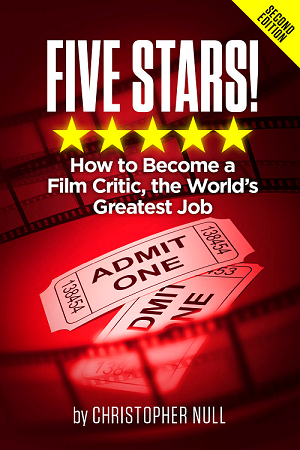 But what about those stories where food is the whole point of the movie? Take the recently released Chef. 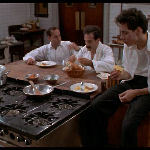 Jon Favreau’s indie fave revolves around a disgruntled cook who wants to put his own mark on the dishes he’s preparing. He finds his answer in a food truck. There are other excellent examples of how cuisine can carry a story, and we’ve decided to feature 10 of the best. So grab a knife and fork and get ready to dig in as we look at 10 great movies that make food the foundation of the story they want to tell. 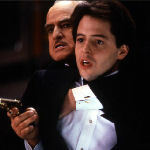 When asked about this movie, what most people will recall is that Marlon Brando, in a rare turn toward comedy, took some of the piss out of his portrayal of Don Corleone aka The Godfather with his work here. But the narrative actually focuses on an “importer” who brings exotic animals to America. The reason? To provide recipe fodder for his high class — and highly illegal — Gourmet Club. The finale, featuring a banquet built around a komodo dragon for dinner is still a hoot. Keri Russell got a chance to break free from her TV persona to play an unhappy server in the south who invents pies based on the everyday issues in her life. She has to cope with a horrible husband and an unwanted pregnancy. In fact, she wants to leave her abusive, dead-end situation at home and hopes winning a baking contest will do the trick. Written and directed by Adrienne Shelly, who was tragically murdered a few months before the movie was released. In a post-apocalyptic France, a butcher shop owner struggles to find the supply of “meat” he needs to keep the remaining populace happy. Fortunately, he also runs a boarding house where his various residents provide plenty of potential inventory. Marked by the sensational stylings of writer/directors Marc Caro and Jean -Pierre Jeunet (with help from Gilles Adrien on the script), the cannibalism context is present in every overwrought frame, forming the basis for an amazing statement on human nature, both pro and con. 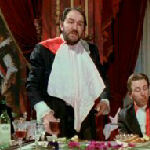 Peter Greenaway’s delicate dissection of the state of British politics, presented as a restaurant where the various classes — upper, lower, working, criminal — are the players in the title, is a sick and twisted enterprise. As he commits horrific crimes in the name of money, our villain fancies himself a gourmet, capable of criticizing and countermanding the food being made by the chef in charge of the kitchen. And all to keep his abused wife from having an affair with a charming bookstore owner. 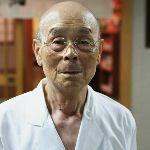 At 85 years old, restaurant owner Jiro Ono has a flagship sushi bar, three Michelin stars, and a desire to continue perfecting his consumable creations. Turns out, he may have earned his acclaim off the back of his tired and oppressed oldest son. This fascinating documentary does what factual films do best — highlighting a subject that you might not have otherwise known anything about (in this case, the sushi trade). It also offers up mouthwatering views of Jiro’s undeniably appetizing dishes. Yum. Tilda Swinton is a true chameleon. One moment, she can be the harried mother of a Columbine-like killer. The next, she’s a bucktoothed bureaucrat on a speeding future shock train. Here, she’s the wife of a textile tycoon in Milan. She ends up falling for the chef who helped the family celebrate the patriarch’s birthday. 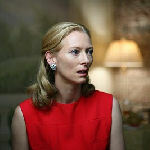 It’s another example of seduction by food, but one done with an undeniable passion, and Swinton’s own sensational acting. As dense and complex as the dishes discussed and enjoyed. Based on the magical realism novel by Laura Esquivel, we have another example of a skilled cook capable of putting her “emotions” into her food. When she is not allowed to marry, our heroine bakes a cake which causes people to become sick. When she buries her burning desires inside a meal, her sister becomes love struck. Set during the Mexican Revolution and reliant on the main metaphor to drive its narrative, this stands as one of the best examples of the subgenre ever. The title character is a woman obsessed with making the best noodles in Tokyo. With the help of a truck driver named Goro, she goes around town gauging the strengths and weaknesses of the other establishments. Then, with the assistance of an old master, she perfects a broth that she hopes will beat the competition. Oddly enough, it takes a contractor and his own “secret recipe” to win the day. The plot also offers up comic vignettes which showcase how food affects various people. Ang Lee’s commercial breakthrough is also one of his best films. Mr. Chu is an aging master chef and a widower with three unmarried — and unconventional — daughters. Each one contradicts his concept of Chinese “tradition,” which makes the weekly family dinners all the more complicated. Naturally, father has his own secrets as well, leading to a last act declaration and demand which upends his own overprotective patterns with his children. An absolute knock-out, with lots of shots of delicious Asian cuisine. Two brothers from Italy open a restaurant in ’50s New Jersey. One is a perfectionist chef who can’t stand how Americans view the food from his country. The other is more business minded, trying his best to make a go of this failing eatery. Their one hope rides with a rival, and the possibility of popular night club performer Louis Prima coming to their place for a meal. As they prepare for this big night, things slowly start to unravel. A pure delight.